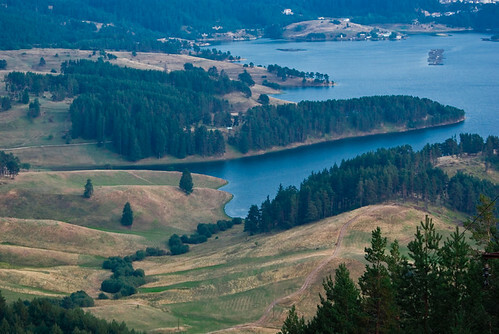 The name of the Rhodope mountains comes from the Greek Rhodope, the name of the mythical queen. 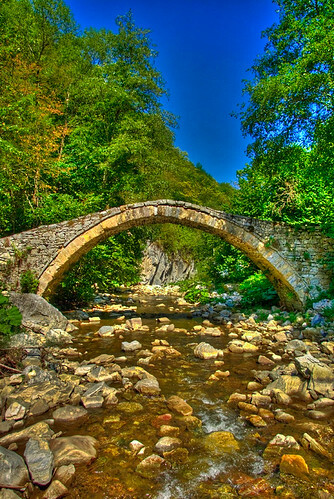 The Rhodopes are a mountain range in Southeastern Europe, with over 83% of its area in southern Bulgaria and the remainder in Greece. Its highest peak, Golyam Perelik (2191 m), is the seventh highest Bulgarian mountain. 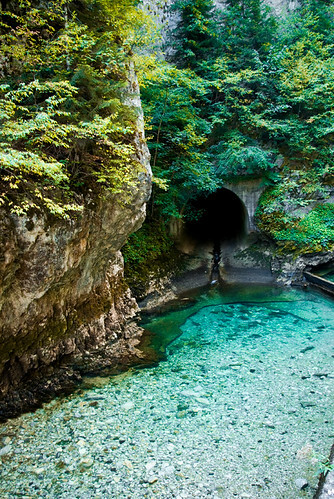 The region is particularly notable for the Karst areas with their deep river gorges, large caves and specific sculptured forms, such as the Trigrad Gorge. 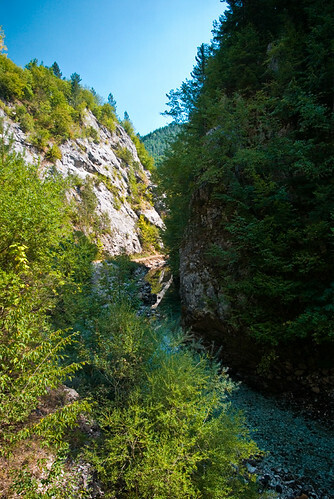 A significant part of Bulgaria's hydro resources is located in the western areas of the range. There are a number of hydro-cascades and dams used for electricity production, irrigation and as tourist destinations. 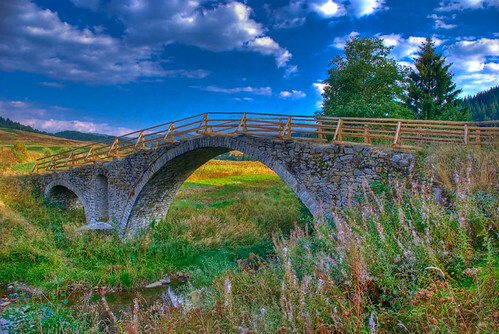 The Rhodopes have a rich cultural heritage including ancient Thracian sites such as Perperikon and Tatul; medieval castles, churches, monasteries and picturesque villages with traditional Bulgarian architecture from 18th and 19th century. The mountains are known as the homeland of the mythological singer Orpheus and for the folklore of the local population. 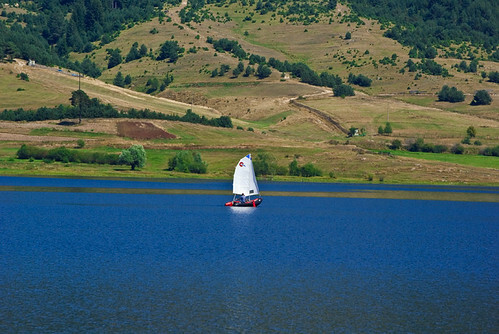 Dospat Dam is situated in the western part of the Rhodope Mountains, Bulgaria. It is fed by the Dospat River. The flora and fauna around the dam are diverse and the geography offers breathtaking sights. 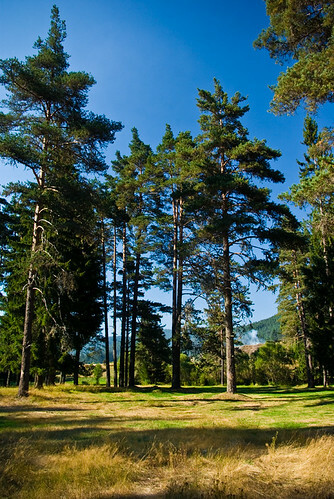 Old coniferous forests surround the lake. On the northern bank where the towns of Sarnitsa and Krusha are located the terrain is hilly, with meadows and arable land available, used for grazing, potato growing and other agricultural activities. Parallel to the south bank are steep slopes covered in spruce and this bank is where most holiday cabins and hotels are located. The dam is rich in fish. It is stocked with perch, trout (rainbow, brown, brook and grayling), carp and various other members of Cyprinidae. Trout are reared in cages within the dam. Most types of fishing are practiced - spinning with lures, fly fishing, and others. In the surrounding areas there are a number of other dams, including Vacha, Beglika, Batak and Shiroka Polyana. 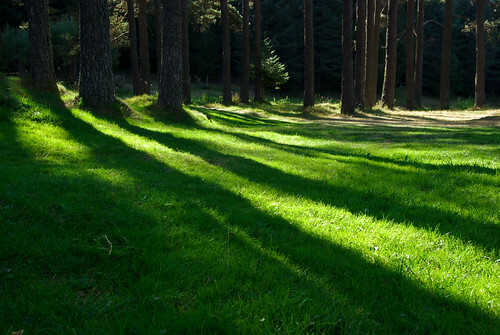 The area offers great opportunities for recreation and tourism. 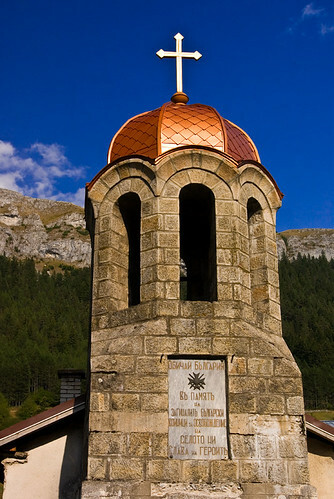 The orthodox church in Trigrad. 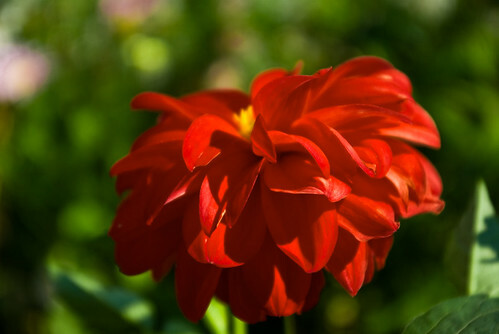 High dynamic range (HDR) images - one of my favorite photo techniques in image processing. 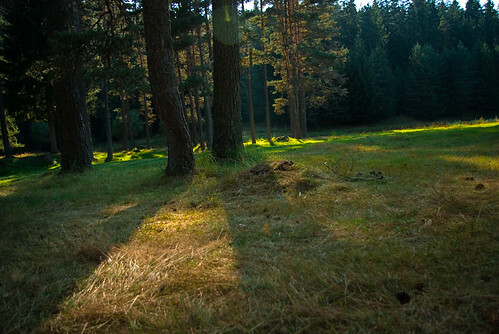 Click here to see my Rhodope Mountains slideshow on Flickr. Last but not least.. a photo of my best friend Stefan, Dospat Dam.